The state of Arizona may join the company of such states like China and Syria with high censorship level, if the state governor decides to sign the law, which has been recently passed by the state Senate. According to Arizona officials, the main goal of the law 2549 is to fight bullying and harassment. It will now be considered an offense to use digital devices to intimidate, humiliate, harass, annoy or offend anyone. The law is not limited to the communication of two people but will be used for the Internet space as a whole. Thus all the content in the Internet that may be considered offensive or intimidating by the state of Arizona will now become illegal. Even though the law might have been passed with the good intentions, many critics call it “too vague”. 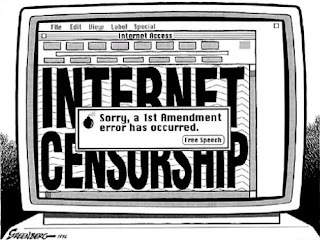 By using such terms as “annoy” and “offend” in the law, it now can justify the censorship of almost all internet forums and therefore give the state government a carte blanche on any type of internet censorship. This means that if you comment on a web article with somewhat rude words, this may be now considered a criminal offense in Arizona. In the same way, if a blogger publishes straightforward opinions to some of the comments, it may also be considered as “annoying” or “offensive”, thus making a blogger potentially accountable with criminal charges. Another example that can show the level of absurd of such a law is an example with football fans. They always leave offending comments to those of a different team, which is a part of the football-fan game. Plus, the majority of the movies may also be censored, as well as all the other digital data. This law is another example when a state government tries to get involved in the day-to-day life of its citizens. But there are still many who are not so concerned about the new censorship law, as they use VPN services that help to bypass Internet filters and censorship.